It turned out that the windy weather was in my favor. You see, the wind was too cold for the tiny colts, so Mom sat down often to create a windbreak under the protection of her wings. 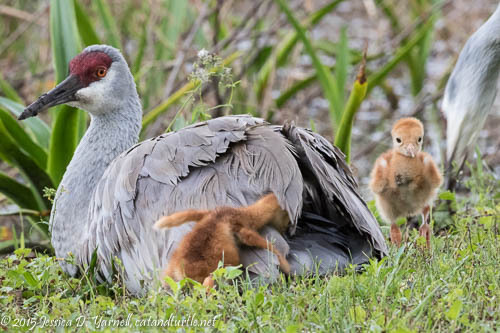 It gave me several opportunities to photograph the mother with her young chicks. Those “under the wing” shots are my favorites. After a while, Mom would stand up, dumping her two fuzzballs unceremoniously on the ground underneath her. Then they went exploring. 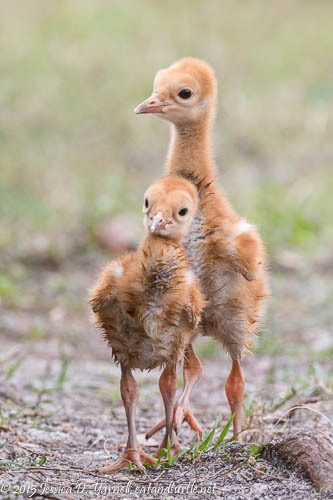 Those tiny legs move quickly as they run to keep up with Mom and Dad. The little colts will often do this little hop-skip-jump run as they play together. 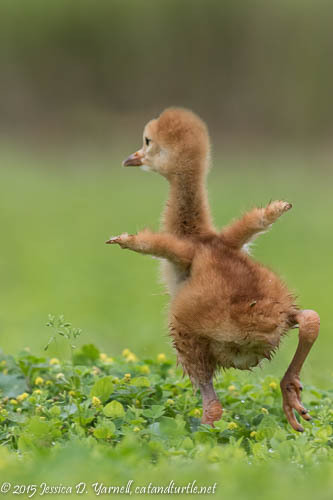 They flap those little soon-to-be-wing stubs and run as if they are practicing their first flight takeoff. I captured the joy of that moment as one colt ran towards a food offering from Dad. 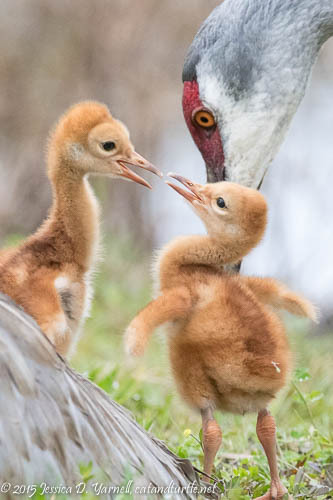 It’s hard to believe, but Sandhill Crane colts are able to swim only hours after they are born. 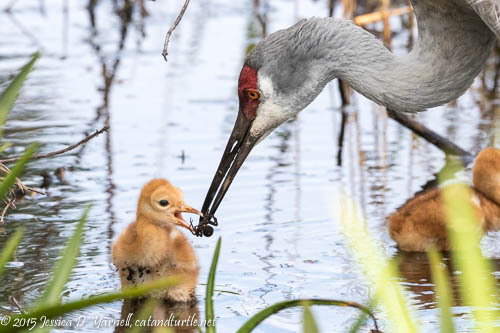 When Mom and Dad wander into the water, the babies paddle right after them. They got the reward of some very big tasty spiders! Before long it was time for another nap under Mom. This next photo is a composite of two photos, showing both babies. 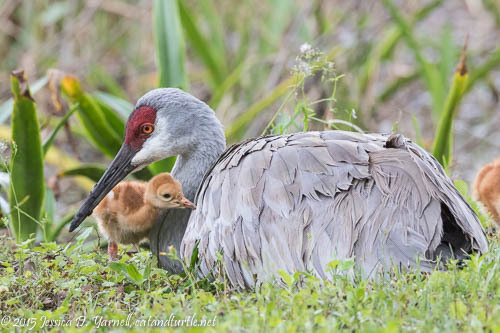 It captures the moment as both babies head toward’s Mom’s tail and try to nose their way under the wing. One baby had a little tumble as he tripped over a feather. He didn’t seem concerned as he landed with his feet in the air, and he quickly hopped up to try again. Mom looked on amused. What a wonderful series! 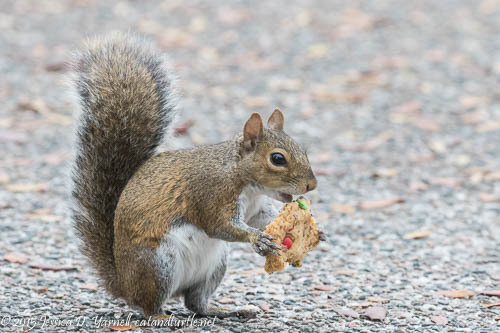 Excellent quality photographs of some really cute subjects. So many great shots! I keep missing babies this year. I need to head over to that side one of these days. How did I miss this until now??? These are spectacular my friend! Sure miss the colts … didn’t get to see any little ones this year. We have to get together soon for some photography.